IBC Bank Branch Manager.Del Rio community and business leaders attended the Del Rio Hispanic Chamber of Commerce annual gala, October 28, 2017. 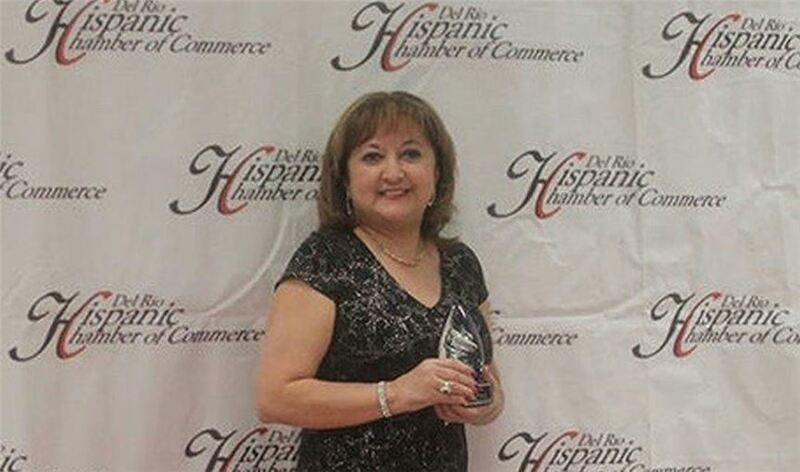 IBC Bank Branch Manager Sylvia Davila won the Businesswoman of the Year award. The event served as the chamber's annual business award ceremony, recognizing outstanding individuals in Del Rio's business community. Nominations were based on attitude, leadership, customer service skills and outstanding public service. Pictured beside is Sylvia Davila IBC Bank Branch Manager.